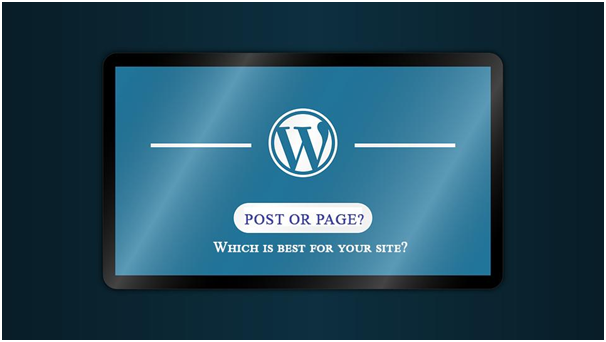 Confused if you should add content to your WordPress site using a post or a page? The dashboard fields are similar and they look the same on the website; why do you need both of them? Let’s understand the similarities and differences between posts and pages and how to choose the best for your site. Let’s start with a simple explanation. Posts are content entries listed on your home page, in a reverse chronological order. WordPress posts are published keeping the date and time of the post in mind. Older posts are automatically archived. Posts are broadcasted through RSS feeds notifying the readers of your latest post. Also, posts urge readers to comment and converse (this can be switched off for older posts though) and usually include social sharing buttons too. Comments are enabled to encourage readers to share views and opinions about the content. Comments are usually disabled since pages are used for static content like About Us page or legal disclaimers. Posts are published with a date and timestamp and broadcasted using feeds to keep readers notified of new posts. Pages are not broadcasted since they are static and usually don’t change a lot once updated. Posts can be organized by using tags and categories so that readers can easily find older posts which get automatically archived. Pages are not tagged or categorized since they are not archived. You can create sub-pages and organize them in a hierarchy. All posts are created on the same template. You can change the theme of the entire site but not have different designs for different posts. You can create custom page templates for pages within the theme selected by you. So, a landing page can look different than a gallery page. In situations where you want to have unique and static content that may not change much over time, a ‘Page’ will make more sense. With pages, you can also have individual page level customization of the layout and structure, which Posts may not allow (unless customized extensively). Posts, on the other hand can be used where you have to publish frequent content in more or less a similar format and structure. Aspects like daily blog posts etc. are perfect candidates for posts. The main advantage is that Posts are heavily reliant on timestamps so they are automatically arranged on your blog roll and also make it easy to disburse and syndicate content via feeds and XML data. 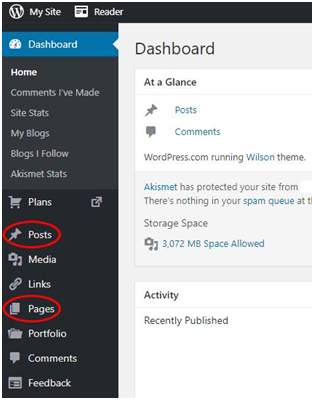 Please keep in mind that when you keep adding posts and pages, and more importantly customize pages frequently, it adds load to the WP-Database of your WordPress Website. The WP Database holds all the important information and data of your site including page and post settings. Which is why it is recommended to host your WordPress website on a WordPress Hosting plan while creating a WordPress Website. Not only do WordPress Hosting plans provide a hosting environment highly compatible with WordPress, but also take up certain managed services that ease up your WP maintenance tasks. For instance, if the site grows and the pages and posts keep on increasing, they will add up to the load on the WP-Database and may make the site slower. But managed WP Hosting plans provide WP-Database optimization as a service within the hosting package which helps keep the WP-Database lean and fast. Hope this helps you guys understand posts and pages better and make a decision on which one to use based on the situations and website requirements. If you have any questions or thoughts on this, please be sure to mention them on the comments section below, and we would love to discuss them further.